Gorta Poster Nov 2008 | Irene Abdou Photography, LLC - Travel. Lifestyle. Documentary. NGOs, Development & Public Health. 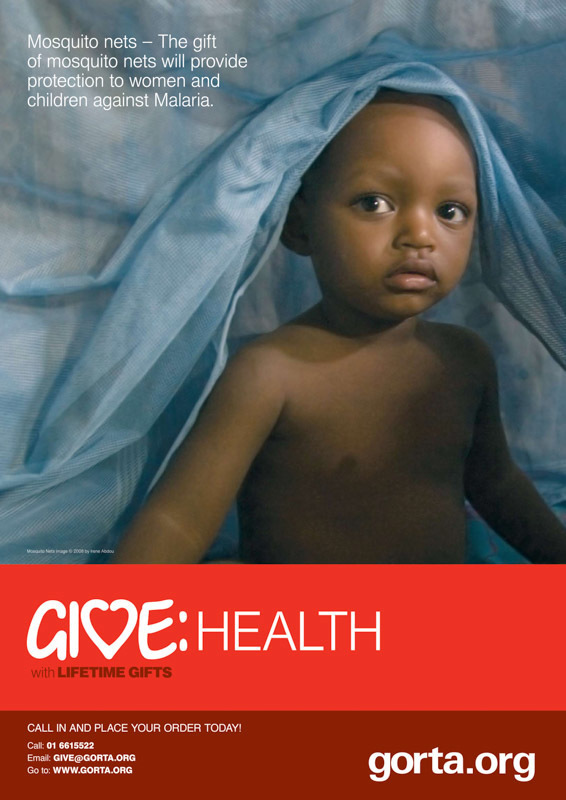 "Climbing Out from Under the Mosquito Net," A2 size poster, Gorta Fundraising Campaign, November 2008 This photo was used on a poster by the Irish non-profit organization, Gorta, in a nationwide fundraising campaign for health and other development projects in Africa.